Bad UFOs: Skepticism, UFOs, and The Universe: The Day the Skeptics Society Wasn't Skeptical - "Best Evidence for UFOs"
The Day the Skeptics Society Wasn't Skeptical - "Best Evidence for UFOs"
Normally the Skeptics Society is a pretty reliable source of information concerning paranormal and pseudo-scientific claims. So imagine my surprise (and dismay) to read in the weekly E-Skeptic of March 28, 2012 a totally uncritical review of Leslie Kean's book UFOs: Generals, Pilots and Government Officials Go On the Record. Titled "Best Evidence for UFOs" by George Michael, it praises Kean's "numerous credible eyewitnesses to UFO encounters and authoritative sources." He thinks she makes an " impressive case," and praises her "academic rigor." Plainly, either Michael did not read the same book I did, or he was entirely hornswoggled by the way that the crafty Kean disguises her hard-core UFO belief as respectable agnosticism. Michael is totally uncritical of the claims and statements in Kean's book. Given that the title of the magazine is "Skeptic," why did it never occur to him to question any of the assertions made by Kean, instead of just accepting each and every one as Gospel truth? Did it not occur to him that, in a book written by a hard-core UFO believer (Kean's mentor in UFOlogy was the late Budd Hopkins), one needs to verify the accuracy of the picture the author is trying to paint? Are all these UFO cases really unexplained? What have we skeptics been doing, sitting on our hands, or scratching our heads, during the decades since these Oldie-But-Moldy UFO claims were made? The author is obviously totally clueless about the history of the UFO controversy. Otherwise, he would realize that many of Kean’s “unexplained” cases have been explained in detail by Philip J. Klass and others, years ago. Kean simply ignores all explanations and commentaries that she doesn’t like. To me that does not constitute "academic rigor," as Mr. Michael seems to think. But he apparently has never read any of Klass' UFO books, and I suspect doesn't even know who Klass was (or else he would have asked himself, "What did Klass write about this case during the 70s or 80s?"). 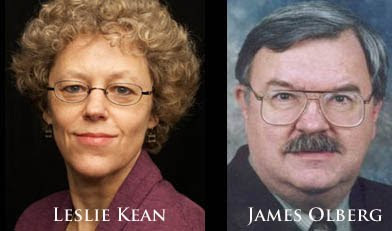 I have already written a review of Kean's book, “‘Unexplained’ Cases—Only If You Ignore All Explanations,” that was published in the Skeptical Inquirer, March/April, 2011. 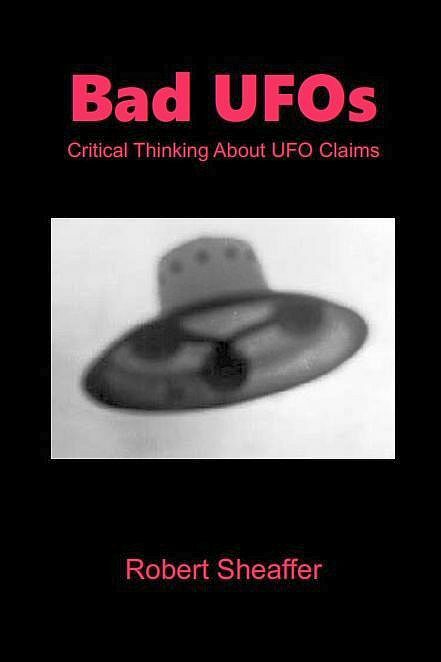 I have now placed a copy of that review on my website, for those who would like to see what a critical analysis of Kean's dubious pro-UFO claims might look like. In his review of Leslie Kean’s book, George Michael too readily takes the author’s word for various UFO cases that have turned out, on investigation, not to be quite as the author describes them. A case in point is the Rendlesham Forest incident of 1980, which he calls “Perhaps the most notable reported military case involving a UFO”. A little research (even a glance at Wikipedia, for example) would have shown that explanations for all major aspects of that case have been in print for over 25 years. To address the points he raises: No unusual radiation was detected at the site, the supposed landing marks were made by forest animals, and the story of examining a landed craft for 45 minutes is something that was made up many years after the event by one of the witnesses, apparently bent on becoming a UFO celebrity. I would not expect to learn that from a book by an uncritical UFO proponent such as Leslie Kean, but I would have expected to hear it in a review on these pages... There are quite a few other cases he needs to learn about, too. This review contains what must surely be the most distorted version of the Rendlesham Incident to see the light....where was the wary & informed editorial control? It's not even as if this worthless tract has never been kicked in the fundament (and not only in hard-line skeptical journals) by other reviewers: it's been out & about for a while. So the real question is, how come the review was published by E-Skeptic at all? As far back as August, 2010 skeptic James Oberg wrote for MSNBC that Kean's book was based on a "questionable foundation." He quickly glanced at a list of supposed "unexplained" cases given by Kean, and immediately pulled out ten that he knew to be caused by Russian space launches. E-Skeptic is probably unaware that Kean's book was also made into an equally bad one-sided pro-UFO documentary on the History Channel. I have also written a critique of the misrepresentations made on this show. Apparently Mr. Michael is also unaware that the big controversy underway in UFOlogy at the moment involves Kean promoting a video of a fly buzzing around as being possibly "the case UFO skeptics have been dreading." Even many of the UFO proponents are choking on that one, as her position is so obviously illogical. Had Michael known that Kean was vigorously defending such an obvious absurdity, I cannot imagine how he possibly could have written such a fawning review. Unfortunately, now Leslie Kean will be able to boast to reporters that her book has been given the 'seal of approval' of Skeptic magazine for its "academic rigor." As Ian Ridpath noted, if Michael had even bothered to check Wikipedia, he would have seen the problems in Kean's version of the Rendlesham case. Let us hope that in future articles concerning UFOs, the Skeptics Society will utilize the services of authors and reviewers whose understanding of the UFO controversy is better than paper-thin, and who will check out the validity of pro-UFO claims before credulously swallowing them. I was also in dismay when I read that article. What were they thinking at the Skeptical Society when they decided to publish such a thing? That says it all. "He is one of the leading skeptical investigators of UFO's". Perhaps other skeptics have a voice as well......not always to your liking! Robert Sheaffer said: "why did it never occur to him to question any of the assertions made by Kean, instead of just accepting each and every one as Gospel truth?" The answer is that, unlike Mr. Shaeffer and other debunkers who hide behind the skeptic label, this reviewer, Mr. Michael, has sense enough to recognize that at least half of the book is written not by Kean but BY OTHERS... by those very generals, pilots and government officials that the sub-title references. In other words, you "skeptics" will need to get busy assassinating the character and credibility of quite a few people other than Kean. And Ian Ridpath as a source, Mr. Sheaffer? Isn't that the guy who claims the entire British incident was just a light-house? That explanation is easily more absurd than many of the less credible UFO stories I've heard. To me and most in the younger generation, I think it's easier to simply accept, as a possibility, that some civilization light-years away may have figured out how to send probes to other stars. Big deal.... Unlike many so-called 'skeptics', perhaps the reviewer is simply not dismissing that possibility out of hand and then viewing all evidence through that lens? Ian Ridpath has never claimed the lighthouse explained EVERYTHING to do with Rendlesham. You have clearly not seen his website, which gives answers for other aspects of the case such as a satellite re-entry and a bright meteor, both verified as occurring that night. Scintillating stars also featured. The so-called extra high radiation readings were meaningless. 'He quickly glanced at a list of supposed "unexplained" cases given by Kean, and immediately pulled out ten that he knew to be caused by Russian space launches'... I beg your pardon, but that sentence is simply hilareous. It only demonstrates that neither you nor Mr Olberg gave any fair appraisal for Mrs Kean book contents - regardless of 'belief'.True or not, none of the cases are comparable to 'Russian launches', I say as an aerospace engineer. Such a rough, out of the hat "analysis" is typical of a cinic, not of a skeptic. No, a case-by-case assessment is typical of a scientific approach, not a mass wave charge of stories, none of which is supposed to be looked at too closely. What the solvable cases show is first, pilots and other witnesses can produce severely garbled interpretations of UNfamiliar sky apparitions that without a lot of work and a lot of luck can never be 'tracked back' to the prosaic cause [no extraordinary cause is required to produce 'unexplainable' cases], and two, those posing as UFOlogists as scientists don't have any quality control on their raw data, so NONE of it can be trusted until independently vertified. Is it possible that this was an April Fool's prank? I got fooled by the Doubtful News one and I wonder if this was one, too? Possible - but only just. An April Fools joke is a risky thing when posted on-line with many different time zones of readership. So my own view is that it is intended as serious. In an email I sent Monday morning, I wrote, "I had the piece finished yesterday, but did not want to release it on April 1, lest anyone think it was an April Fools Day prank: "E-Skeptic endorses Leslie Kean - April Fool!" "He quickly glanced at a list of supposed "unexplained" cases given by Kean, and immediately pulled out ten that he knew to be caused by Russian space launches." Mr Sheaffer, isn't that simply a lie? I read the Oberg and Kean exchange, and saw nothing like that. So what are those 10 cases "given by Kean" that Oberg "immediately... knew to be caused by Russian space launches"? Is such a broad and inaccurate statement what now passes for skepticism? I'd expect that kind of thing from the nuttier elements in the UFO crowd, but not from you. Please, try to be better than that! Another Anonymous Coward bravely accusing me of lying! So much for "a broad and inaccurate statement!" But what's the point of me showing that "anonymous" is full of B.S., nobody can hold him accountable for it. oh, you mean to say the you take Philip Klass' investigation of UFOs to be the final and most accurate among all the UFOlogists? the same Philip Klass who lost a bet to Stanton Friedman? and the same Philip Klass who did character assassinations on Hynek and Friedman? oh, i get it. while reading this post, it appears to me that the opening sentence *should have* been: "Skeptics Society is a pretty reliable source of information concerning paranormal and pseudo-scientific claims as long as it agrees with me." that response by Kean also applies this blog post. I like the quoted comment of Ian Ridpath about someone making up a UFO story because he is "apparently bent on becoming a UFO celebrity." And wouldn't the ridicule aspect, combined with the above, tend to deter those with quite a bit to lose from simply making things up? I've seen Penniston openly laughed at and basically called a fool on prime time TV (CNN), and this atmosphere couldn't have surprised anyone? Most people run away from ridicule, not towards it, which is why only a small percentage of sightings are even reported. This is interesting because it creates a situation where it is the most credible witnesses who are least likely to come forward; those people are the ones with the rank / prestige / community standing that would be difficult to jeopardize for a fringe topic. I personally know a university scientist who has seen some rather remarkable things in the sky, backed by other witnesses, and at one time I doubt you could have paid him enough money to come forward. (Ridicule.) I think his attitude is changing though. Part of the reason is that some of the ridicule is turning back in the opposite direction, since many of those aligning with the skeptical viewpoint appear to be uninformed about the basics of the topic (Bluebook, Condon, etc) and offer up some remarkably dubious explanations. Anonymous asks, "Is there actually such a thing as a "UFO celebrity"?" Anonymous Believer says: "the entire British incident was just a light-house?" The best witness, Airman Burroughs, stated at the time: "We could see a beacon going around so we went towards it. We followed it for about two miles before we could [see] it was coming from a light house." A_ B_ says: "I think it's easier to simply accept, as a possibility, that some civilization light-years away may have figured out how to send probes to other stars." As do most who've considered the issue, but that doesn't mean they're visiting Earth or that very easily explained "UFO" reports have anything to do with hypothetical ETI. How you got the idea that they do is the false belief that you really should be questioning. Quite a few comments there. Of course, they don't like it. Michael Shermer said that he wants to publish this piece as a rebuttal to George Michael in E-Skeptic. great so you have proved your "movement" is so incestuous that you can get your grand sweeping and poorly documented (one other skeptic saying something on his blog doesn't make it more true and a believers post and hearsay is hearsay no matter how mundane) piece posted by your buddies? Seriously? This is the state of scientific thought you want to become the world standard. "Well Schermer likes it!" ranks just UNDER "Well my mom thinks I am cool." You could not even be bothered to note that the book in question in a collection of essays and analysis pieces knitted together by the author. It is HARDLY "her sly" work. Your winging on to the point of getting this piece to be considered a "rebuttal" is NOT a victory for anything other than thought policing of all science. Congratualtions, your inquisitional robes are in the mail. ps-- Are you REALLY sure you want to use that "UFO celebrity" definition? Because that puts Klass, Randi and even Schermer in the same category EXACTLY. And even worse, opens up the can of worms of how being a "Science Celebrity" makes all papers written by anyone with a public cash-generating Science identity guilty by association. A NOT anon lover of science and hater of inquisitions. No skeptic compels belief in scientific realism or prevents any self-styled "agnostic" from making a case for extraordinary stimuli for "UFO" reports. So present your evidence to the world for judgement if you have any, or are stRAW-man "inquisitors" all you have? I can't believe that anyone would doubt there are UFOs. Of course, they're probably not from another planet or universe, but there are certainly UFOs. What they are precisely is a matter of opinion, but there's at least some tangible object someone is perceiving in many cases. I have recently purchased a UFO and I run around in mine half the night ... I love my UFO (underwear for oafs) ... oh, now I see ... flying objects ... sorry. Please post a picture of you in your underwear. This blog is sadly lacking in sexual content. Thank you. Kennwrites: "there are certainly UFOs." There are certainly "UFO" REPORTS. Kenn: "What they are precisely is a matter of opinion, but there's at least some tangible object someone is perceiving in many cases." There's just no veracious evidence that there's any *extraordinary unknown* object in any case. Stimuli for reports include: bright planets and stars, meteors and space junk, planes, jets, balloons, sundogs and clouds, etc; but not one REAL "UFO" of any kind--much less an ET soacecraft--has been shown to exist (have presence and persistence) in the world. A significant part of the controversy over UFOs might be that the term "UFO" was coined in the first place. This puts every last visual sighting that rises above the treeline in the same category, and suggests a relation between them all. As can be seen in any UFO-related forum, every time something is shown to be rather mundane in nature, UFO proponents immediately jump to some other report as proof that such an explanation isn't valid. Which is like pointing to acquittals to prove that murders don't take place. Many proponents maintain their beliefs because "there are too many reports for them to be explained." Yet, lumping Leslie Kean's bug videos in with the Hills' vague hovering lights and Heflin's brake rotor (see Jan 14th of this site) verges on the ridiculous - they have nothing in common whatsoever. And no number of 'unexplaineds' can add up to any conclusion whatsoever - there are far too many ways for something to be unexplained, and far too many ways for people to be inaccurate. This thing is going to go yet one more round! George Michael has written a response to me, and I'm writing one to him. It will be on E-Skeptic next week. Rob, I think the main driver of your irritation with the subject is that all "ufo's" are lumped together as being from the same sinister source. However I do agree this seems counterproductive, but from a logistical point of view it makes sense to lump it all together in a similar narrative for presentation to the layman. On the other side of the debate, I don't believe you should lump them all together for dismissal. I think even by your own belief of statistics you would have to concede that some of these people have seen something interesting that isn't a known platform or device. Now let me elaborate on that, when I say "not a known platform or device" I am not saying its extra terrestrial, nor am I saying it is extra terrestrial "based" technology. Instead I would like to point out how history repeats itself. America's most secret projects like "Aquatone" and "Oxcart", were thought to be extra terrestrial in origin, and even had massive official walls of disinformation surrounding them that fueled the "ufo" rage. Today, just like in the 50's and 60's, we have BILLIONS of dollars worth of special access programs that are just as hidden if not more hidden than ever. And just like before, people aren't going to know what to call them, so they go with the easiest description they can. "ufo". I think we can all agree that there have been at least a few times when secret military technology has generated UFO reports. Especially in the old USSR. But did stealth aircraft abduct Betty Hill, or Travis Walton? Did secret military technology cause the UFO wave over Belgium, or over the Hudson Valley, or Gulf Breeze? To ask such questions is to show how limited the role of 'secret technology' has been - especially since everything that we make has to obey the laws of physics (unlike most UFO reports, which seem to flaunt the laws of gravitation and of motion). I'm willing to bet Hudson Valley was a DoD or intel agency project and the Belgian wave was something along those lines as well. Betty Hill and Travis Walton were likely nuts, but Betty Cash and Vickie Landrum probably encountered a runaway classified radar blimp that was heating them up with microwaves. I believe in a healthy dose of skepticism but I think its counterproductive against what I would call "real deal" cases. What happens when some lady genuinely sees a special project that the government wont avow? If you guys tell her she saw swamp gas or Venus then you're going to have a real nemesis on your hands that has every right to be outraged. You should temper your skepticism with the "special projects" possibility, otherwise you will be sending the message you are just as stubborn as the "believers". So, you think that the U.S. Government was testing secret stealth technology in upstate new York in 1984, and in Belgium in 1989? What's wrong with Groom Lake? One of the stealth planes did crash near Groom Lake, NV ("Area 51"). They were able to keep the lid on it pretty well, because there was hardly anyone around. Secret stuff used to get tested at Edwards AFB in the Mojave Desert, but they moved the most important stuff to Groom Lake because Edwards is simply too close to Los Angeles. With all that urban sprawl around Palmdale, etc., there were simply too many people around to do important secret stuff. Testing secret stuff in the Hudson Valley is obviously a very bad idea, let alone Belgium. Can you imagine the international incident if a secret U.S. aircraft came down on a village in Belgium? Another problem you have is your timeline. The heyday of spy planes was the 1950s and 60s, before there were reliable spy satellites. After they had reliable satellites that could send down photos of any place on earth, there was no need for spy planes any more. By 1970, the high-altitude spy plane was obsolete. Klass makes this point in "Secret Sentries in Space." They simply didn't need them any more. As for Cash-Landrum, the case is frustrating because medical effects are claimed as evidence for the case, but the medical records have never been released. So it's clearly a case of "cherry picking" what symptoms to release. There is a new investigation of it currently under way, if you read Saucer Smear you've seen a little of it. One hypothesis - plausible but as yet unproven - is that Betty created her own "burns" using a fabric with a cut-out pattern, and sun (or sunlamp) exposure. (Just like the Catholic 'saints' creating their own stigmata!) You cannot create such patterns with a distant object emitting microwaves. So your theory sounds good, until you look into the details. Robert, neither the Army nor the Navy tests their advanced platforms at Groom, much less Edwards. Additionally, the supremacy of the spy satellite is a myth at best, disinformation at worst. A satellite blazes by at over 17 thousand miles per hour and doesn't return to the target area for 90 minutes. If you need to really watch a specific facility, you will absolutely not get enough intel this way. There is much information out there on "gorgon stare" and other very long term persistent surveillance technologies mentioned that are not filled by satellites. As an Example, one must simply look at the massive UAV acquisition across all the services, not just the Air Force. They are all just as capable of having classified platforms as they are the unclassified ones, because there is a proven need for them. I'm don't think the sightings in Belgium were a test. The fall of the East German government and then the wall were certainly a very weird coincidence in the same time frame. That one is going to puzzle me for quite a while. "Robert, neither the Army nor the Navy tests their advanced platforms at Groom, much less Edwards." "A satellite blazes by at over 17 thousand miles per hour and doesn't return to the target area for 90 minutes." The velocity you quote has little relevance, for numerous reasons. First off, it applies only to LEO satellites, which are only at that altitude to allow being reached by re-entry spacecraft - think Shuttle and Soyuz. Atmospheric drag means that they need periodic reboosts, not an ideal situation. Velocities drop the further out in orbital distance you get, until you reach geosynch speeds, which still sound quite high until you realize they match the rotation of the earth and simply hover over one spot perpetually. "As an Example, one must simply look at the massive UAV acquisition across all the services, not just the Air Force." And just where are these used, and what's the range? Seriously, dude, UAV use in Afghanistan doesn't remotely compare to monitoring nuclear power plants in China. "I'm don't think the sightings in Belgium were a test. The fall of the East German government and then the wall were certainly a very weird coincidence in the same time frame." You know what else was a very weird coincidence? Mapplethorpe's photo gallery opened just before the wall came down!!!!!!! You know, for five or so decades of sightings, isn't it odd that nobody seems to have any photos whatsoever of the U-2, SR-71, F-117, B-2, V-22, Comanche, ABC, F-35, UAVs, or any other secret projects (or not so - half of these programs were well-known) before the military officially broke them? The other curious thing is that every last military project in those five decades... looks like an airplane. No saucers, boomerangs, or super-maneuverable blotchy things. So what makes you think any UFO sighting is explained by black ops? Your track record doesn't look too stellar. Half of all the UFO sightings in the 50's and 60's were Aquatone and Oxcart. That isn't up for debate. It is an historical fact. You need to do more than a little learning. A stationary satellite is in a Geostationary Earth Orbit over 22,000 miles away. It is unable to do very high resolution thermal, UV, and visible spectrum. It is also unable to do signal intelligence of a specific target or location. No, Geostationary satellites do not do persistent multi-spectrum ISR of high value targets. This is the Air force classified procurement budget in BILLIONS for the years listed. That is just the Air Forces' classified budget. The Navy and Army have similar figures. They aren't buying toilet seats with that money. You really think that every military aerospace project going back 40 to 50 years has been declassified already? Think again. "According to later estimates from CIA officials who worked on the U-2 project and the OXCART (SR-71, or Blackbird) project, over half of all UFO reports from the late 1950s through the 1960s were accounted for by manned reconnaissance flights (namely the U-2) over the United States." Yes, I've heard that before, and I don't believe it. Was the U2 flying, regularly and repeatedly, over new York City, Chicago, Michigan, Ohio, etc., etc.? Where is the case-by-case analysis matching reported UFO sightings with the recorded schedule of U2 flights? Show me that, and maybe I'll believe it. This is not "historical fact," it's a claim made by supposed "experts" in the CIA. I hope they're better than the "experts" who told Leslie Kean that the Chilean video shows a real UFO! "Half of all the UFO sightings in the 50's and 60's were Aquatone and Oxcart. That isn't up for debate. It is an historical fact." Um, no, it says specifically on that page that it is an estimate, and it takes only a moment of consideration of any reports from that time period to figure out it's probably way off. You need to learn what a "fact" is. But hey, I'll go ahead and grant that a significant number of reports were of U-2s. Now, how many figured it out? Because saying "I saw something" is still meaningless, unless you know what the hell you saw. Wild guesses that some aerial visual phenomenon is "black ops" is useful in what way? "A stationary satellite is in a Geostationary Earth Orbit over 22,000 miles away. It is unable to do very high resolution thermal, UV, and visible spectrum." Considering that your last statement was that satellites go too fast to see anything, I am obligated to ask if you actually know anything about this or are just looking things up on the web? I never said geosynchs are used for recon - I said that orbital velocity was irrelevant; what matters are arc-seconds of movement, of which geosynchs are at the outside marker, being effectively stationary. But I'll be happy to show you the resolution I can achieve with cheap consumer materials on a target better than ten times further out that any geosynch, if you like. "That is just the Air Forces' classified budget. The Navy and Army have similar figures. They aren't buying toilet seats with that money." And I should care, why? What does this have to do with your claim that the idea of recon satellites is merely disinformation? "You really think that every military aerospace project going back 40 to 50 years has been declassified already?" In a word? Yes. Or abandoned. Most of the military aircraft introduced since 1975 are decommissioned now, or at least on their way out. But again, who cares? UFO proponents are still zero for several dozen. This post, in case you missed it, was about a book being more credulous than critical, and a review following suit. I have no idea why you think government projects have any real bearing on this, and I have never seen anyone saying such things don't exist. Nor has anyone been automatically dismissive of all reports either, so if you want to be taken seriously, try dealing with what's in front of you, not your pet peeves. The book's title "Generals, pilots and government officials go on the record" is intended to catch the eye of UFO newcomers (and thereby bump up sales) who are unaware that such people have been going 'on the record' since the dawn of the UFO era, 65 years ago. Ask Kean which US Generals she got on the record. I just wrote another response over at eSkeptic. Thanks Robert for your response to Michael. I'd love to hear at some point your viewpoint as to why the original article got published in the first place. It's very disappointing when skeptics work against skepticism. Yes, a lot of skeptics are very disappointed by this. It's quite clear that George Michael is pro-UFO. See Leslie Kean's comments about him on her Facebook page! I'd rather not speculate on the history of this. I know that some skeptics will be talking this over at TAM, it's best to focus on future relationships, and not try to assign blame. Robert, why does it have to be "pro-UFO" or anti? That seems so polarized and counter productive. I think TRUTH is the heart of the issue: "what created the urban legend" and "what sustains the urban legend". And most importantly, "what can end the urban legend". I think the admission of Aquatone and Oxcart sightings was a step in the right direction but they didn't go far enough in correlating this to the rise of UFO mania. I believe a "legend breaker" will eventually come out, but the bureaucracy in place around special access programs and non DoD agencies "Sensitive Compartmented Information" rules may drag this out for decades to come. You call your review "... a critical analysis of Kean's dubious pro-UFO claims". Ok, let's consider the critical method you applied for disposing of the testimony of retired Iranian General Parfiz Jafari about a 1976 incident. - It was flashing with intense red, green, orange and blue lights so bright that I was not able to see its body. The lights formed a diamond shape. - I approached... All of a sudden, it jumped about 10 degrees to the right ... and then again 10 degrees and then again ... I had to turn 98 degrees to the right of my heading. - My backseater said “I have it on radar”. We now had a good return on the screen, and it was at 27 miles. You're beyond dubious, M. Sheaffer. This is plan dishonesty.